Christmas is just over three weeks away so why not get yourself down to Church Road and get your hands on the latest Whyteleafe FC Christmas Stocking Fillers. 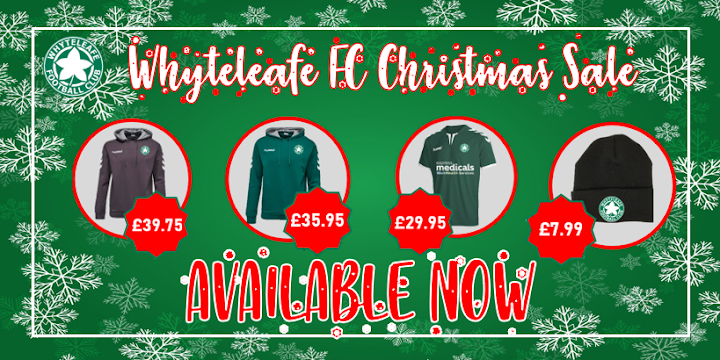 This year Whyteleafe FC will be bringing you some great deals including brand new Hummel team hoodies, The youth hoodie is available in green and is only £35.95. The adult hoodie is available in grey and is only £39.95. Kit yourself out like the first team by treating yourself to the official replica 2018/2019 home playing shirt which is available both in Junior and adult sizes. The junior shirt is only £24.95 and the adult size £29.95. Also available for the first time is a Hummel rucksack with the Whyteleafe emblem which is only £28.95. 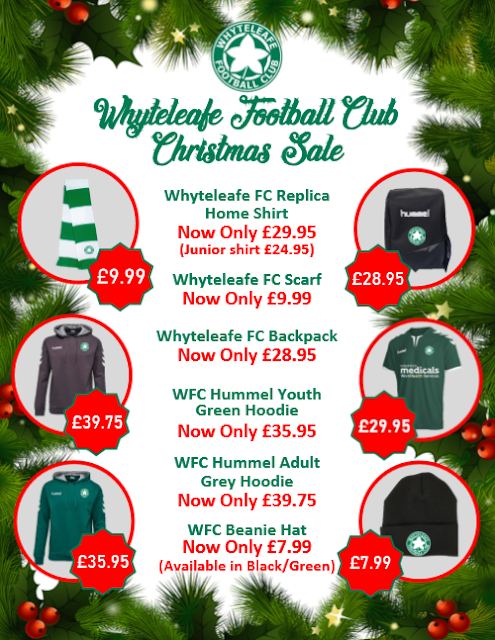 Over the Christmas period we face some important matches including home fixtures against both Hythe Town and East Grinstead Town, so keep yourself warm on the Church Road terraces by purchasing one our new Whyteleafe beanies which come in green and black and are only £7.99 or get yourself a lovely warm green and white scarf which are only £9.99. Make it a Whyteleafe Christmas and get yours today. If you wish to purchase any of the below items, please contact the club on 020 8660 5491 or visit the Club Office when you are next down at Church Road to make your purchase.